It’s a lengthy process, but knowing what goes into it can definitely help an individual prepare for it well. 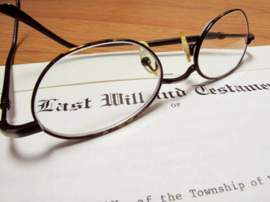 For starters, these are some of the estate planning documents for an individual to keep in mind and to ask a probate lawyer about when it comes time to draw up a plan in the event that the individual may become mentally incapacitated or deceased. To be sure, there are many more minor estate planning documents to deal with, but these are the most important to know about. Because when the time comes, a person’s going to want to make sure everything’s taken care of correctly. In many situations, estate planning documents do include something called a “Living Will,” sometimes also known as a Declaration to Physicians. It’s a document filled out and signed by an individual with knowledge that he or she may then suffer a terminal condition of some kind or will be facing a vegetative state. The document simply states that a physician will have the authorization at the request of the individual in question to end all life support methods upon the advent of a terminal condition or vegetative state suggesting that there are no remedies or ways to alleviate the condition or state. As far as estate planning documents go, many times this is the first document to be examined and viewed. This can honestly be the single most important piece of paper of all the estate planning documents, because it lists every asset of an estate belonging to an individual. 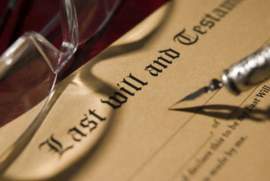 Stating that upon death, the document will itemize certain assets or parts of an estate and award such assets and parts to beneficiaries, typically within a family. In addition, the Last Will and Testament also names Guardians in the event that the deceased individual had minor children in his or her care. Typically, no funds are listed in a Last Will and Testament – only pieces of property, goods, materials, titles, deeds, and other such malleable content. Although an individual may list an amount of money from an estate on the Will and Testament to award to any beneficiary. Also commonly known as a POA, it’s a letter stating that a beneficiary or even the deceased individual has a ‘representative’ responsible for the rights of the beneficiary or deceased in the event of estate planning, to ensure that the rights and wishes of the beneficiary or deceased are followed as planned. Typically, the person appointed with the POA is a lawyer, but can actually be anyone appointed with approval by the individual involved in the estate plan. Like a Last Will and Testament, this document protects an individual’s assets. 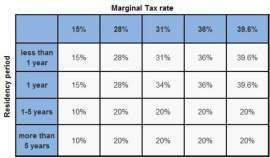 However, the difference is the Trust doesn’t necessarily list beneficiaries. Rather, it’s about setting up a trust fund to protect a person’s estate and assets upon the time that mental incapacity or death is eminent. This document is called “revocable” simply due to the fact that an individual may change any provisions as needed at any time. 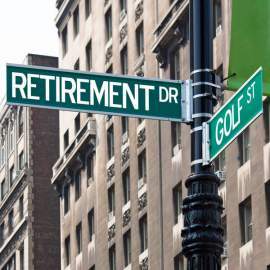 This, however, may subject the individual to estate taxes as the funds still belong in the individual’s name, even though a trustee is in charge of the agreement. Like the previous document, it offers the same kind of protection – but without the ability to change provisions. This, of course, protects the individual’s assets and estate completely, and can be particularly helpful when it seems that disputes are a possibility upon the time when the estate planning will occur. 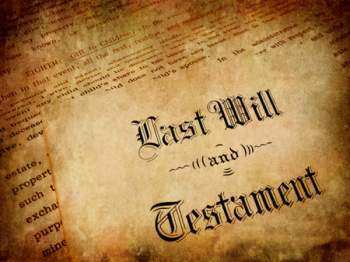 For instance: if the Last Will and Testament lists a specific amount of monetary value for an individual, and the Irrevocable Living Trust concurs with that amount as well, it can be binding and may never be changed by anyone, not even the individual himself or herself.